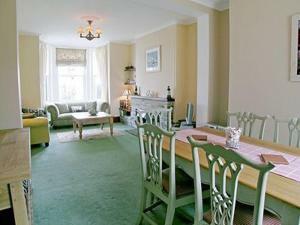 Hazeldeen is a holiday home with a barbecue, located in Tintagel in the Cornwall Region. The unit is 1.4 km from Tintagel Castle. There is a dining area and a kitchen as well as a private bathroom. A TV is available.